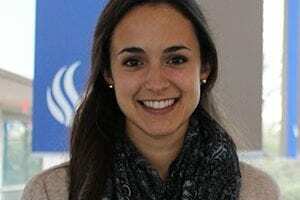 Georgia State University graduate students took top prizes at the university’s Spring 2019 Three Minute Thesis (3MT) competition on March 25, where they were challenged to explain their research and scholarship to a general audience in a short amount of time. 3MT is a research communication competition developed by the University of Queensland in Australia in 2008. The premise of the competition is to develop academic, presentation, and research communication skills. It supports the development of students’ capacities to effectively explain their research in language appropriate to an intelligent but non-specialist audience. Seven master’s and seven doctoral students from multiple disciplines competed; a panel of judges awarded first, second and third place prizes. The audience was also given a chance to weigh in and voted for a people’s choice award in each degree category. Support for the competition was provided by the University Library and the Office of the Associate Provost for Graduate Programs. 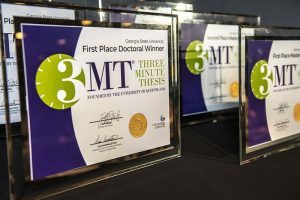 Finalists for the Spring 2019 Three Minute Thesis (3MT) Competition at Georgia State University were selected after a preliminary round on March 5, sponsored by the Office of the Associate Provost for Graduate Programs and the University Library. The final round will be held on March 25 at the Centennial Hall Auditorium, 100 Auburn Ave. N.E. 3MT is a research communication competition developed by the University of Queensland in Australia in 2008. Through this competition, 3MT celebrates the discoveries made by students and encourages them to further build skills in communicating the importance of research and scholarship to the broader community now and in their future careers. Judges will award 1st, 2nd and 3rd place to the best presenters in each category for the doctoral- and master’s-level divisions. The audience will cast their vote for the People’s Choice winner. Admission to the finals is free; click on the link for more information and to RSVP. The National Science Foundation-funded program, called “Aspire: The National Alliance for Inclusive & Diverse STEM Faculty,” promotes inclusive teaching practices and diversity. The program’s ultimate aim is to attract underrepresented students—women, members of minority racial and ethnic groups, people with disabilities and those from low socioeconomic backgrounds—into STEM programs, retain them and help them graduate and succeed in a modern workforce. Second Century Initiative (2CI) Fellow Olivia Tomeo is studying the relationship between hormones and risk-taking behavior through an interesting combination: monkeys, banana-flavored pellets, and a joystick. 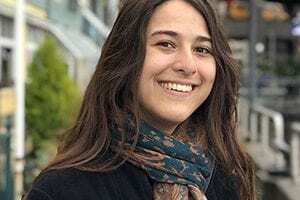 Tomeo, from Fairfield, Conn., began her college career at Bucknell University where she received her bachelor’s degree in animal behavior and Spanish. She chose to attend Georgia State because of the resources available at the university’s Language Research Center, as a part of the Cognitive Sciences program. Second Century Initiative (2CI) Fellow Alexandra Yep is researching the formation of young stars in the Gum Nebula, an emission nebula that extends across the southern constellations. Southern constellations reside south of the equator and can be better seen from the southern hemisphere. According to Yep, the formation of these stars is specifically interesting because unlike most stars, these stars formed with the help of an external force: other stars. 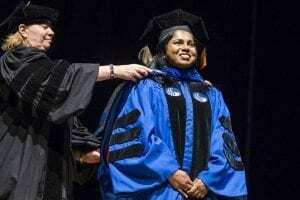 After she earns her Ph.D., Yep says she would love to teach astronomy and conduct more research. She says the financial assistance of the 2CI has helped her tremendously.